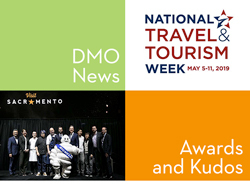 The DMA West Education & Research Foundation retained Destination Analysts, Inc. to conduct a comprehensive research study to measure visitor conversion and estimate the economic impact of DMOs’ marketing to their audiences on major social media channels, including Facebook, Twitter and Instagram. The combined (blind) findings from all participating DMOs produced industry averages on DMO social media marketing impact and performance. This research also gathered important insights into DMO social media audiences to deepen the industry’s understanding of these traveler profiles and their content preferences. Sign up for the April 30 webinar about the study findings - see Free Webinars to the left on the home page. Special thanks to the participating DMOs in this study: Albuquerque, Central Oregon, Huntington Beach, Lane County, Lubbock, Mesa, Oceanside, Oregon's Mt. Hood Territory, Park City, Portland, Salt Lake City, San Luis Obispo County, Sedona, Stockton, Temecula Valley, Tri-Valley, Vacaville, West Hollywood and Yosemite Mariposa County. The executive summary of the study has just been released and is available to destination marketers on a complimentary basis. Special thanks to the delegates, speakers, sponsors and vendors/exhibitors for participating at the recent Tech Summit & Vendor Showcase. Kudos to our Visit Albuquerque hosts for their warm hospitality. The Tech Summit provided a productive environment for the exchange of intelligent insights and bright ideas! Presentations submitted by many of the Tech Summit speakers have been added to the Resource Library (password required). Thank you for being part of the 14th annual Tech Summit & Vendor Showcase. Stay tuned for an announcement about the 2020 Tech Summit dates and location in a month or so. Ask it or answer it! We are excited to introduce DMA West's newest member service -- EXCHANGE -- the online community for western destination marketers. EXCHANGE is the best space to participate in in-depth discussions and receive feedback and resources from your professional peers. Employees who work for DMA West member DMOs are encouraged to participate in DMA West's EXCHANGE. Ask or answer a question. Share strategies and best practices with your DMO industry colleagues. Active participants create a thriving online community. Employees from DMA West-member DMOs are welcome to access the EXCHANGE discussionsite. Are you an employee from a DMA West-member DMO ready to join this online community? When you create your account, please your real name in the "Username" field (First name Last name). Also, you must use a valid DMO email address. Once your account is created and approved by DMA West staff, you will receive an approval notification for your EXCHANGE participation. At that time, log in and click on your name above the "New Discussion" button (left panel). Then, click on the arrow next to the head silhouette icon (far right - across from your name) which will bring up the "Edit Profile" option. In this section, you may add your profile image and set your "Notification Preferences" and "Category Notifications." If you need assistance at any step in the process, contact DMA West staff at 916.443.9012 or info@dmawest.org. Welcome to EXCHANGE. With the publication of its annual Best Trips issue, National Geographic Traveler magazine has revealed its 28 must-see destinations and travel experiences for 2019. Together, Traveler editors and National Geographic Explorers have selected their top places to travel across four categories: Cities, Nature, Culture, and Adventure – and Oakland was selected in the Culture category. Oakland was one of only four U.S. destinations included in the list and the only city in California chosen. Oakland is one of the most diverse cities in the country, with more than 125 languages spoken within the city. This diversity has created a vibrant culture and welcoming community in Oakland, and is reflected within the city’s culinary scene, arts, nightlife and events. 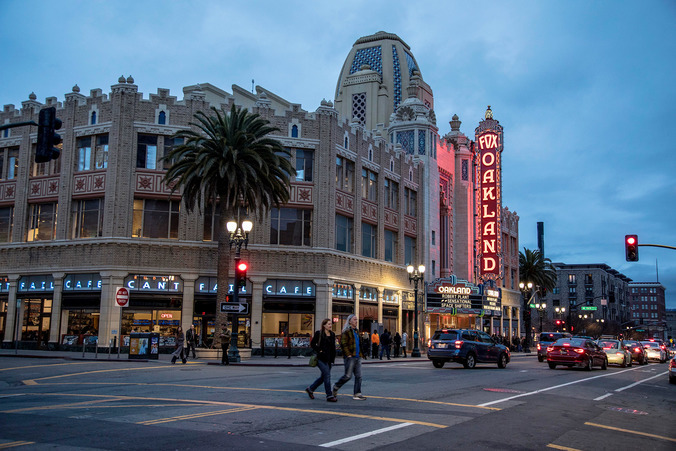 “Oakland was selected for its vibrant and diverse culture, and we welcome visitors to experience our culture by immersing themselves into our community and exploring our many neighborhoods,” said Mark Everton, CEO of Visit Oakland. Position yourself as a knowledgeable resource at the DMA West Education Summit by becoming a session presenter. Share your cutting-edge ideas, innovative strategies, and measurable solutions to help DMOs move their missions forward. DMA West is seeking session proposals that will help us create a dynamic program full of evidenced-based content to successfully propel the destination-marketing profession forward in the current evolving environment. Don’t delay! Submit your session proposals by May 10. Travel is the best education and traveling for a taste of place gives us a sense of place. According to the experts surveyed in our 2019 State of the Food Travel Industry Report, culinary culture and authenticity are fundamental and even critical components of success in food and beverage tourism. To that end, the World Food Travel Association recognized the need to create an annual campaign to spotlight the preservation and promotion of culinary cultures around the world. “World Food Travel Day” will take place every year on April 18, starting with the first awareness day on April 18, 2019. Learn how you can promote food tourism awareness in your destination!